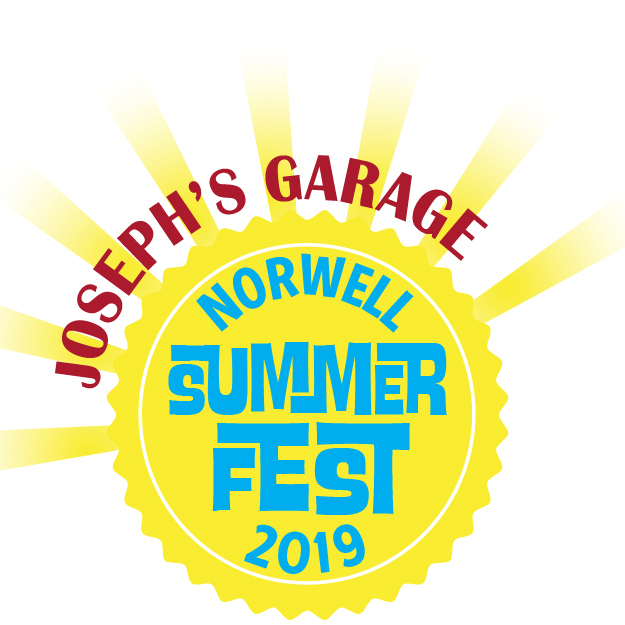 Please consider becoming a Norwell Summer Fest sponsor! It will be a free community festival in Norwell town center for all ages to gather, to celebrate, and to enjoy Norwell at its very best. It will be a vibrant day of live entertainment, rides, local food options, key business sponsors, local artisans, and more for thousands of visitors to experience and enjoy. We would love for your company or organization to be a part of the fun by serving as an event sponsor. Sponsorship of Norwell Summer Fest will allow your company to gain high-level visibility among the anticipated 9,000 visitors to the event. All donations go towards covering the cost of the event, and supporting the local community. Name and logo included prominently in all event placements including the event website, event Facebook page, media placements, event T-shirts and event signage. Two Facebook messaging opportunities through the event Facebook page and visible to all individual supporters. Invitation to showcase your company centrally at the event and to distribute branded materials to attendees. Option to be the exclusive sponsor within your industry. Opportunity to showcase your participation in Norwell Summer Fest in your own company marketing efforts. Company name and logo included in all event placements including the event website, event Facebook page, media placements and event signage. Invitation to be the featured sponsor of an event area of your choice. One Facebook messaging opportunity through the event Facebook page and visible to all individual supporters. Invitation to distribute branded give-a-way materials to event attendees. Company name and logo included in all event placements including the event website, event Facebook page, media placements, radio advertisements, event T-shirts, and event signage. Company name included in all event placements including the event website, event Facebook page, media placements, radio advertisements, event T-shirts, and event signage. Option to provide marketing material (flyers, business cards, branded items) in “swag” bags to be distributed at the event. For more information or to become a sponsor please contact norwellsummerfest@gmail.com . Not right for you - please consider a donation. How about a Group Sponsorship of a specific activity? Do you have a book club, neighborhood association, or just a group of co-workers who want to be part of sponsoring a fun event? If you choose to sponsor an attraction, we will acknowledge that your group or association was responsible for sponsoring the attraction, Please contact norwellsummerfest@gmail.com for more information. Golf Carts (4) - $250 each or $1000 to sponsor all 4.